In part ten of this series, we look at a tutorial that explains how to add a messaging feature to the dating site we've been working on. 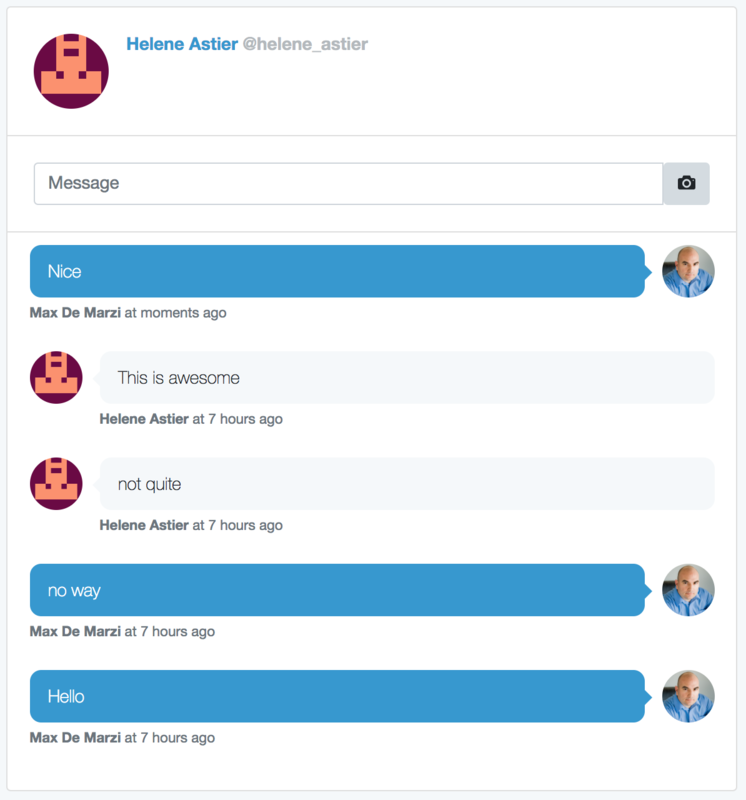 By connecting both users to a Conversation node and then adding the messages to it, we can get the grouping of our messages by the user that we want. But what about getting the most recent messages from this conversation? Should we change the ADDED_TO relationship to a "dated" relationship type? Well, how many messages would two people on a dating site exchange before they switch to another medium like a phone call, text messages, or a date? According to some sources, about a dozen messages should be exchanged before asking for the digits. So in a "worst case" scenario of very chatty users, we're probably looking at less than a thousand messages for sure, probably less than 50 in the great majority of cases, so I do not think it is worth it to bother with that. This model choice opens up some interesting possibilities. Can more than 2 users be involved in a conversation? Maybe not for this feature, but what if we wanted to add Groups to our dating site? Then we could use the same ideas and connect multiple people to a conversation. This reminded me that we have a Stream, so we could get fancy and add things like Event nodes, where someone proposes a get together (like going to a zombie pub crawl, going to see a show, or for the movie lovers...Netflix and Chill). These events could be public and have "IM_GOING" relationships or they could require approval, so whoever created the event would moderate who is coming and private information about the event could be revealed once approved. We have lots of possibilities with a Dating Stream rather than just profiles. But let's not get ahead of ourselves, we have to get messaging in first. Let's start with creating the messages and conversations, and then we'll figure out how to display them. Once we have our users, we need to make sure the user receiving the message has not blocked the user sending the message. We should probably double check all avenues of communication on both the creation and retrieval against blocked users. Next, we need to find their conversation. We could have used a composite index or NODE KEY as Neo4j calls it on Conversation, but the likeliness of anyone talking to millions of people is zero. I would expect the average to be under 100 with a thousand or so at the top. So what we can do instead is simply traverse the PART_OF relationship twice, looking for the second user. ...and check for a high five from them. We only need to find one, so we break out of the loop as soon as we do. We are going to assume it is more likely that user2 high fived a recent post, so we will order our POSTED_ON relationship types before traversing them. If we find a recent high five, we go ahead and create the conversation and make both users part of it, otherwise, we deny the request. Now, you may be thinking, couldn't we have gone from user2 and look for the high five relationships, filter them by date, and then see if any of them belong to the first user? Yes, we could have. If we decide not to keep the "expired" high fives and delete them instead, it would make more sense go this route. We may end up changing our query to do that or we could check the sum of the number of posted relationships from the first user against the number of high fives from the second user and choose a different path on a case by case basis. As a monetization feature, we could have high fives that last longer than 5 days, maybe 10 days, or they could last forever, but that takes away the urgency to respond, so maybe doubling their time is better than infinite time. We also probably want to keep expired high fives to help us build recommendations. It turns out the methods are pretty similar, so I won't go over it in as much detail. The real difference is that once we have our conversation, we need to get the messages, sort them, and return them. Nice! Our users can now send messages to each other... there is only one problem, we haven't written a way to show the person who high fived a post that their crush has started a conversation with them. We will add that next.